WOW. A whole quarter went by, where i was fully 100% focussed on launching a new awesome app at Opera software. So focussed didnt event have time for any fortechiesonly.com posts. So whats kept me so busy ? Ive been incubating and now bringing to market a new product at Opera. We have been working on this app since last May. After 9 months of developing, dreaming, iterating, designing, engineering, packaging, debugging, crafting, restarting, developing, polishing we were finally ready to start letting our new shiny app the light of day. 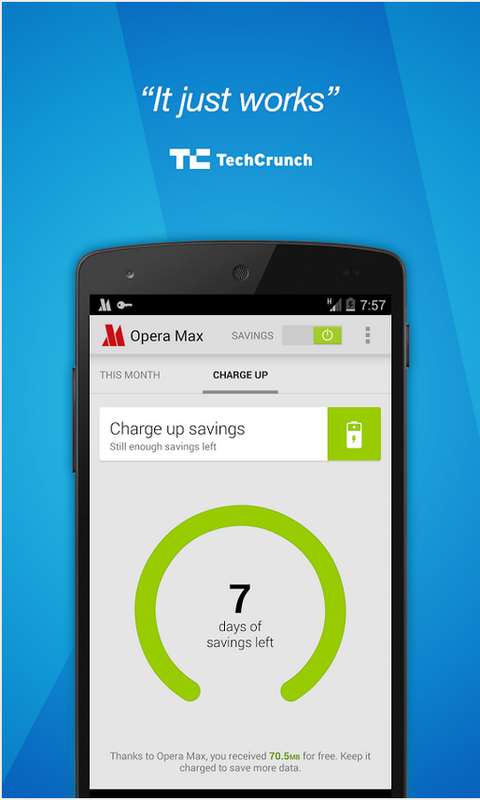 Dec 20th Opera Max, was released into a closed private beta (available in USA only). Feb 23, 2014 we launched in Google Play in North America and European Union + Norway. 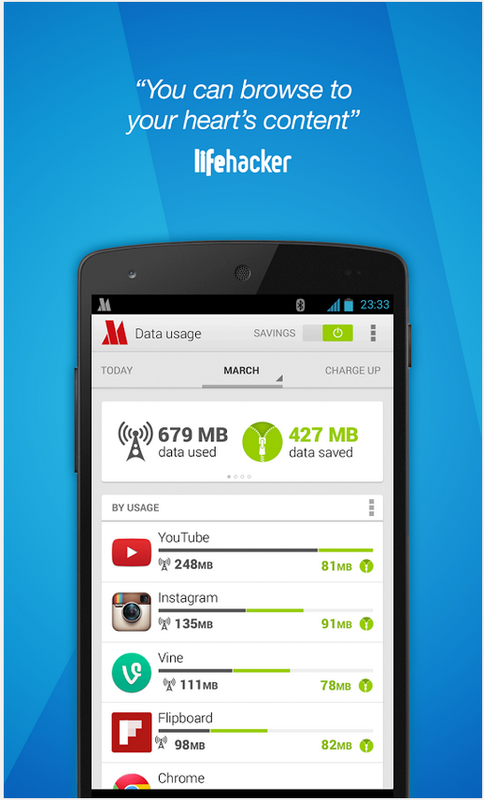 Opera Max is an App, that when you install and turn on, will double your mobile data plan. It compresses your mobile data traffic, and lets you get up to 2X the data experiences without paying more. You can get it in Google play here. Right now. For Free. It was meticulously designed in California and Norway. Built in California, Norway, and Poland. Don't get me wrong i didnt make this app. I have a rockstar team of engineers, designers, testers, and managers at Opera. Together we crafted Opera Max to be the best data savings service. We designed it to really make an impact on making mobile data cheaper and more accessible. We plan on offering this great service in as many countries as possible. Of course, the app also has value for people with unlimited data plans. Opera Max has the most beautiful and detailed way of presenting data usage statistics: a data usage timeline. The timeline reveals how data is really being used and consumed on your smartphone. This lets you find out that some apps are sneaky and use data when you dont know. There is an easy way to "block" any app from misbehaving and restrict their data consumption to wi-fi only, so its free. This is especially helpful if you roam alot. Mobile data roaming is incredibly expensive , and any amount of data used will cost you alot. 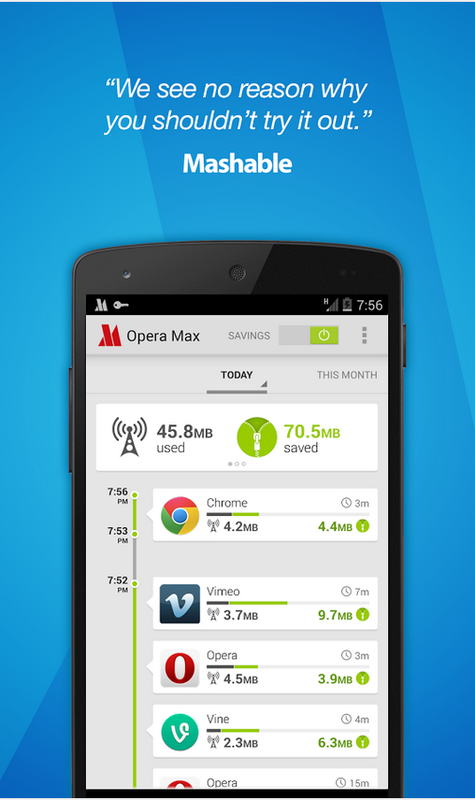 Opera Max detects when your android is roaming, and lets you know in the timeline. The goal was to make mobile data on smartphones cheaper and more affordable. My hope is that more people will use more mobile data than before, and that some people even start using mobile data for the first time because of Opera Max. If you have an Android 4.0 or higher. Follow this link to Google Play and give it a test drive . Wow what a great data saving app, i feel like everyone should get this app! I hope to see a version of Opera Max for IOS too someday.